Planting seedlings and handweeding along the Canning River at Homestead Park. Meet at cnr of Parkside Dr and Helena Cres, Thornlie. Look for AGLG sign at the meeting point. Contact AGLG Officer: 0413 883 565 or AGLG Coordinator: 0412 713 582. Morning tea is provided. Please BYO gloves and wear appropriate clothing for the weather (e.g long sleeve shirts, raincoats, hats and gum boots). Come for an hour or the whole morning; your time makes a big difference! Josh Byrne will soon be presenting his Spring Series of Your Garden talks that aim to provide residents with the knowledge and tools to create a successful garden without impacting our precious Swan and Canning Rivers. The Bayswater talk will be held on Wednesday 7th November 2018 from 6:30 to 8:30pm at The Rise, 28 Eighth Ave, Maylands. Supper will be provided and special guest Jeremy Maher will be talking about his work rehabilitating the Eric Singleton Bird Sanctuary. This is a FREE event, but bookings are ESSENTIAL. 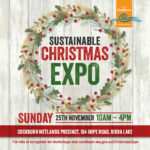 Go to www.riverguardians.com/education/gardening-workshops or call 0488311090 to book. We are a group of Canning residents concerned about the future of the Cannington Claypan. The Cannington Claypan is a threatened ecological community (TEC) in the heart of what will become the Canning City Centre. It is bounded by the Western Power electrical substation, Grose Ave and Lake, Jameson and Bent streets, Cannington. In the next five years or so the City of Canning plans to build a road that will take a slice off the edge of the TEC. We don’t think that should be allowed to happen and need your help to stop it. At this stage we need help to raise the public profile of the Cannington Claypan. Many people don’t know that it exists, let alone how important it is. We’ll be sending letters to the editors of the local newspapers and talking to everyone we can about the area. We won’t be asking you for an ongoing commitment of time or manpower. This will be a fight built on the weight of public sentiment. To build that weight we need people to know and care about the area. We need your help in raising awareness. And to be ready to speak up when the time comes for the public to comment on the proposal. We will be holding a meeting to discuss what we know about the Cannington Claypan and what we can do to change the City’s mind. And we invite you and your supporters to help us. @ Canning River Eco Education Centre (CREEC), at the end of Kent St, Cannington. Please RSVP to Sian Mawson at [email protected] or on 0427 375 100 if you intend coming to the meeting. Early morning bird walk followed by breakfast. Planting seedlings with the Friends of Mary Carroll Wetlands. Meet at the Eudoria St carpark. Look for AGLG sign at the meeting point. Contact AGLG Officer: 0413 883 565 or AGLG Coordinator: 0412 713 582. Morning tea is provided. Please BYO gloves and wear appropriate clothing for the weather (e.g long sleeve shirts, raincoats, hats and gum boots). Come for an hour or the whole morning; your time makes a big difference! Join us for a BBQ and Nightstalk! Bring: Please wear enclosed footwear for the night stalk and bring a torch. RSVP: [email protected] or 9458 5664 by Wednesday 14th November. Community groups will be showcasing their SALP funded project sites. Food, soft drinks and tea and coffee provided. This campaign is aimed at encouraging venues and consumers to reduce their use of disposable plastic straws. November 20th from 3pm until 5pm at the Chalk and Cheese café, Northbridge. Join us for complimentary straw-free mocktails and delicious canapes as we discuss how you can help our environment by being a part of The Last Straw movement. 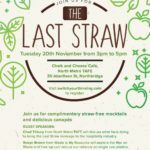 Chad Tilbury from North Metro TAFE will discuss how he brings The Last Straw message to the hospitality industry. Robyn Brown from Waste is My Resource will explore the War on Waste and how we can reduce our reliance on single use plastics. Tickets are free, but please only register if you intent to attend as the numbers will be used for catering! Visit https://www.switchyourthinking.com/ for more information. AGLG celebrate their 20th Birthday! Details and venue announced closer to date. Contact AGLG Officer: 0413 883 565 or AGLG Coordinator: 0412 713 582. Venue: Trillion Trees LOT 2 Stirling Crescent (Cnr. Amherst Rd. ), Hazelmere. Or ‘Trillion Trees’ on google maps! 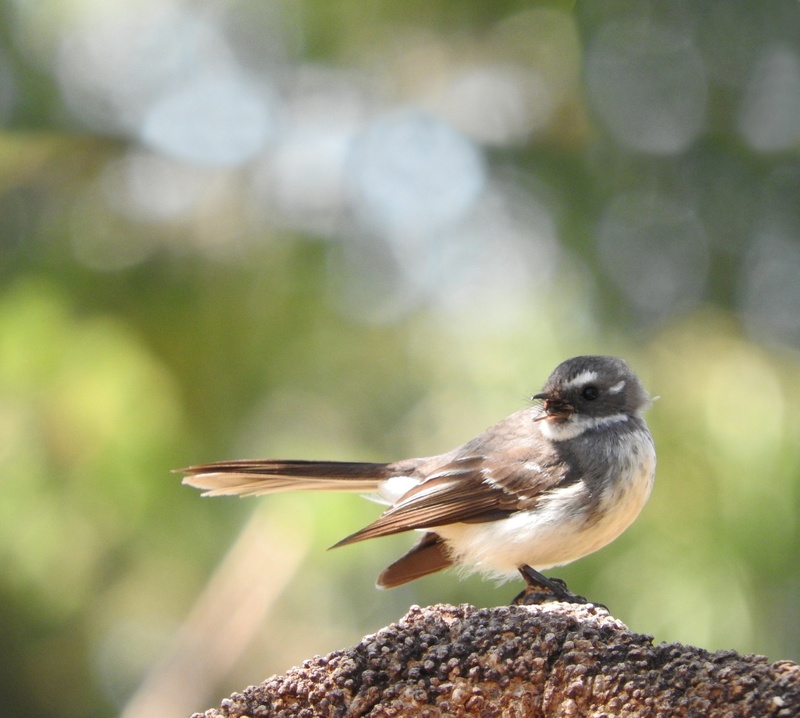 Building on the success of last years Living Landscapes Conference Perth NRM is hosting another event designed especially for local community groups and organisations. This years conference will be focusing on sustainability and aims to provide topical information and case study examples that can be taken away and implemented at home or at work. Presenters will be using the UN’s Sustainable Development Goals to make the connection between work that is being done and the actions that we can do as a community. Some of the topics being discussed include plastic waste, managing food waste, sustainable agriculture, water sensitive cities and community gardens. Click here to register your place at the conference.